Social media manager Tom Mason talks about the golden rules when tweeting for an organisaion. theEword SEO copywriting team creates fresh content for theEword throughout the working week. These articles, which focus on news and opinion from the SEO industry, are perfect fodder for the corporate Twitter feed. Twitter is an ideal news broadcast service. It offers companies and individuals the opportunity to highlight their content in the hope of garnering retweets or inbound links. It allows your articles and your brand to gain a substantial increase in coverage. theEword Twitter account often features news about daily life at theEword. It features photographs of the team at work, as well as posting updates about birthdays and other special occasions. Corporate Twitter accounts are often accused of being dull; accounts which seldom offer anything other than the latest account win or back-slapping blog. By offering followers an insight into the life in the company, you're able to give the account some personality, demonstrating that there's more to corporate culture than ties and meetings. 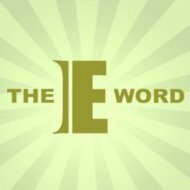 theEword Twitter account frequently retweets updates from the users it follows. Manchester has an exceptionally active SEO community, many of whom post engaging and interesting articles on their personal blogs. Much of this content finds its way onto theEword Twitter stream. Retweets are the fuel of a successful social media campaign. It demonstrates that an account is an active member of the Twitter community, rather than just a mouthpiece for promotion. Your followers don't just want news about your own blogs, but rather information about the industry as a whole. By offering content from a third-party, you're establishing yourself as a resource rather than an advert. theEword often throws its hat into conversations about the industry, as well as readily responding to queries related to SEO, social media or development. Interaction gives you the chance to form a relationship with your followers. It offers the opportunity to provide a service and create a bond between potential consumers and the company. Talk to us on theEword on Twitter for more information and advice.